As with all big dreams, Roddy had some help making them happen. A visit to the Natural Resources Conservation Service was one of his first steps as he needed assistance controlling mesquite on his land. 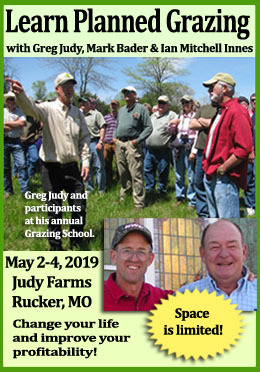 That visit marked the start of a 24-year learning opportunity for Roddy, who has continued working with the NRCS on conservation and planning to benefit him and his ranch. Roddy says that technical assistance from the NRCS, combined with EQIP funding helped him improve soil health and prevent erosion, add fencing for better grazing management, and allowed him to implement practices that will benefit the land and his community into the future. The Natural Resources Conservation is available to help you with Conservation Planning. All you have to do is ask at your local NRCS office. They’ll probably ask you to complete a Conservation Planning Workbook similar to this example from Montana, that includes a series of check boxes and questions to help you think about your resource concerns and to give staff an idea of where you’re interested in assistance. After meeting with you, and bringing in ideas from outside extension staff and other experts, they’ll give you a variety of suggestions for things you can do to reach your goals. You choose what to do based on your operation’s needs. NRCS staff can then help you apply for EQIP assistance if it is available.